Tintex, a textiles company based in the Porto region, is this year’s recipient of the unique and prestigious annual recognition from The Instituto de Apoio às Pequenas e Médias Empresas e à Inovação (IAPMEI). The company has been selected in recognition of its pioneering Naturally Advanced global leadership, and the company’s responsible fabric making for a fashion system that is driven by investments, transparency and fully traceable innovation. 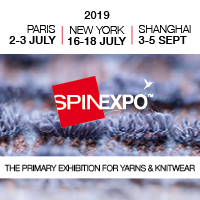 “We selected Tintex to underline the importance of taking advantage of digitisation and modernisation at different levels in the textile industry being stunned by their commitment, shedding light on our territory’s most advanced and responsible processes and skills,” commented José Marques dos Santos, President of IAPMEI. Tintex will host an open day at the Naturally Advanced centre of excellence on 17 April for textile leaders, protagonists, media and customers to experience and learn about the achievements Tintex offers to the contemporary Portuguese textiles industry. “In a fast-moving globalised market, all companies must be able to adapt quickly and using innovation, creativity, and responsibility can help deliver successes. And here Tintex can network between technological centres, universities, and knowledge centres, as a strategic business and holistic imperative,” the company explains.